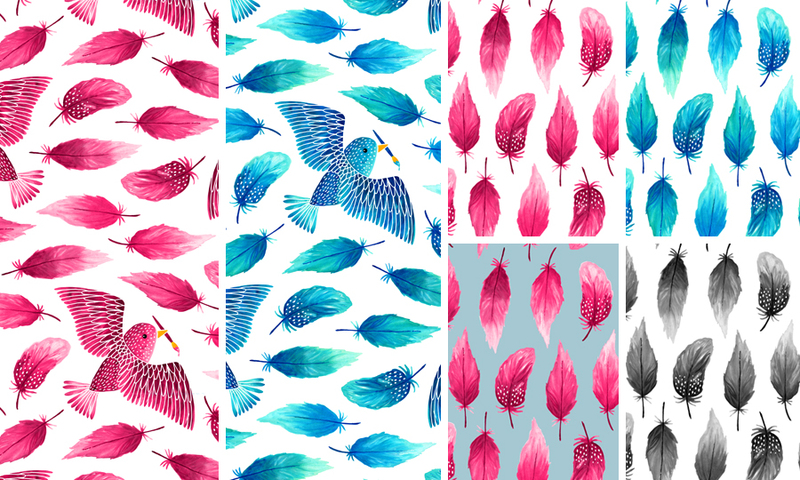 My Birds painting their feathers blue design won 1st place in the Spoonflower challenge. I also made a pink version and some watercolor feather designs. All these designs are for sale in my Spoonflower shop on fabric, wallpaper and gift wrapping.